Leading up to the theatrical release of director Roland Emmerich's much anticipated science-fiction franchise sequel Independence Day: Resurgence last night, early reviews for the new movie haven't been particularly kind (a sentiment that we unfortunately shared in our review). Despite the new film's self-promotion as being about "big ideas," Emmerich may have bitten off more than he could chew - especially considering the fact that his film will see direct competition at the box office this weekend from returning the heavyweight contender that is Finding Dory. Whether or not die hard fans of Emmerich's original 1996 alien blockbuster will still line up to see Independence Day: Resurgence (despite the fair amount of criticism already being levied against it), remains to be seen. That being said, the numbers are in for the film's opening night. According to Deadline, Independence Day: Resurgence generated roughly $4 million in ticket sales from 3,200 theaters last night, with the standing hope on the behalf of the studios involved being to bring its opening weekend grand total up to and over $50 million in 4,068 theaters with the help of 3D and IMAX formats. Compared to Finding Dory, which made $9.2 million in 4,305 venues on opening night before going on to a debut weekend domestic gross of $136.1 million, Emmerich might be in trouble if he hopes to draw in viewers not already invested in his disaster film. It certainly doesn't help matters when considering the fact that Emmerich has stated that Independence Day: Resurgence took so long to make because the director doesn't like sequels on principle, which begs the question of why the new movie was made in the first place. For many younger audience members going to see Emmerich's franchise film this weekend, memories of the first Independence Day are no doubt hazy at best - while those who might still hold some nostalgia for the property may have waxed in their admiration for the first film over the twenty years between installments. Then again, Finding Dory debuted strong over ten years after its preceding feature installment, which could signal greater returns for Independence Day: Resurgence than even Emmerich could possibly have imagined. The film might not have made quiet as big of a splash on its opening night as another more highly lauded franchise sequel, but here's to hoping that fans of the film will find plenty to love about the new movie despite what some critics have said against it. 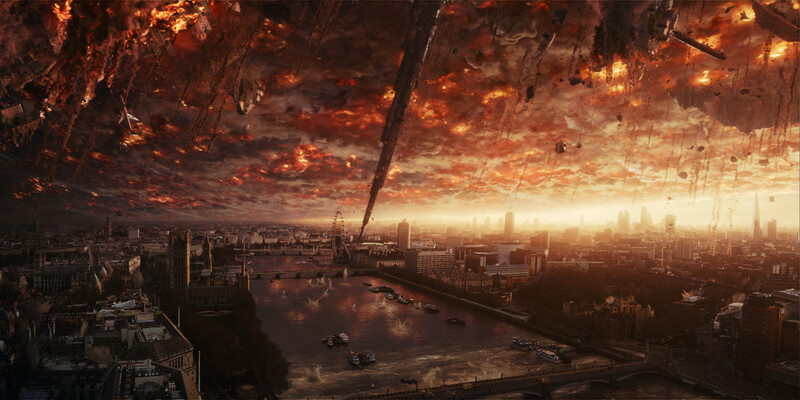 Independence Day: Resurgence is now showing in U.S. theaters.